Hi everyone, for this simple concrete countertop mix, you'll only need 5 ingredients. 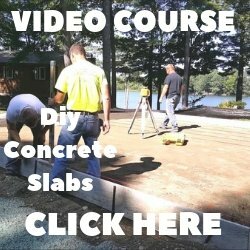 It's a very basic mix but will give you a very strong countertop for a very low cost. If this is your first concrete countertop, then this is the mix design for you. Do a sample first, don't just jump right in and do your countertop. Practice on a 2' x 2' piece and get a feel for the mix. 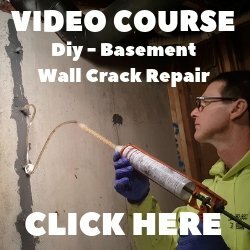 These 5 ingredients are very simple to get, the concrete mix and cement you can get at Home Depot, Lowes, or a local hardware store. The fibers and superplasticizer you can get online at Concrete Countertop Supply. Add these 3 things together dry and mix. Combine the 80 lb. bag of concrete with the 5 lbs. of Portland Cement and AR Glass Fibers. Then mix these 2 things. In clean 5-gallon bucket, add 2 quarts of clean water, and mix in 2 Tablespoons of Optimum 380 Superplasticizer. Combine mix water with the concrete, and begin mixing. Depending on if you're using a hand mixer or an electric mixer, this will take you 2-5 minutes to get it completely mixed. Add small amounts of additional water until concrete mix resembles that of thick oatmeal. filled later with a different colored cement slurry), or a wetter mix (filling a vessel sink 2-part sink mold), so adjust the water accordingly. Once you've got your mix how you like it, start placing it in the mold. Coverage: This mix will produce a little above 0.6 cubic feet of concrete. At 1.5" thickness, it will yield roughly 4.8 square feet. At 2" thickness, it will yield roughly 3.6 square feet. Weight: At 1.5" thickness, approx. 21 lbs. per sq. ft.
At 2" thickness, approx. 28 lbs. per sq. ft.
$1.14 per sq. ft. at 2" thickness. TIP: Most standard 80 lb. bags of concrete mix sell for around $4.00 and have somewhere in the vicinity of 15 lbs. of Portland Cement in them, the rest is sand and gravel. Increasing the Cement content up to around 20 lbs. 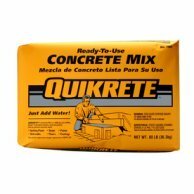 is equivalent to the more expensive concrete mix, such as "Quikrete 5000" concrete mix. The main idea behind mixing concrete is to use the least amount of water in order to get the concrete to be workable. The less water used, the stronger the cured concrete will be. Use of additives, such as a superplasticizer (also known as Water Reducer) allow the concrete to 'flow' so you can work with it, using less actual water. That's about as basic and simple as it gets for a concrete countertop mix. For a more advanced mix design you can check out these ingredients for concrete countertops.